Tamron 17-28mm f/2.8 Di III RXD Lens European Price € 804,99 ! 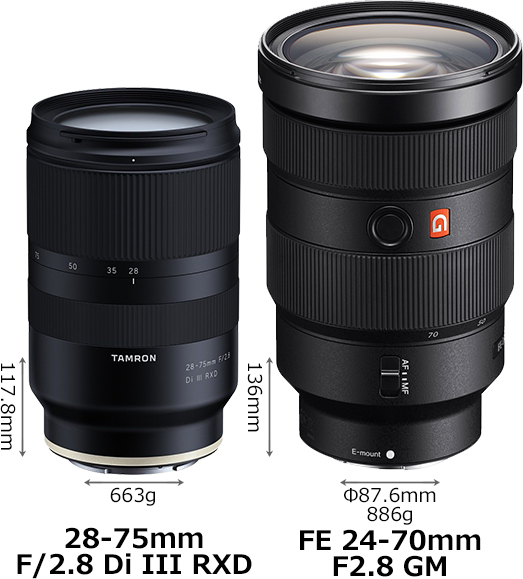 According to Spanish store Foto24, the European price for new announced Tamron FE 17-28mm f/2.8 Di III RXD Lens is price at € 804,99. This is similar price as Tamron FE 28-75mm f/2.8 Di III RXD lens. Get instantly notified by e-mail when Tamron FE 17-28mm f/2.8 Lens is In Stock and Shipping ! 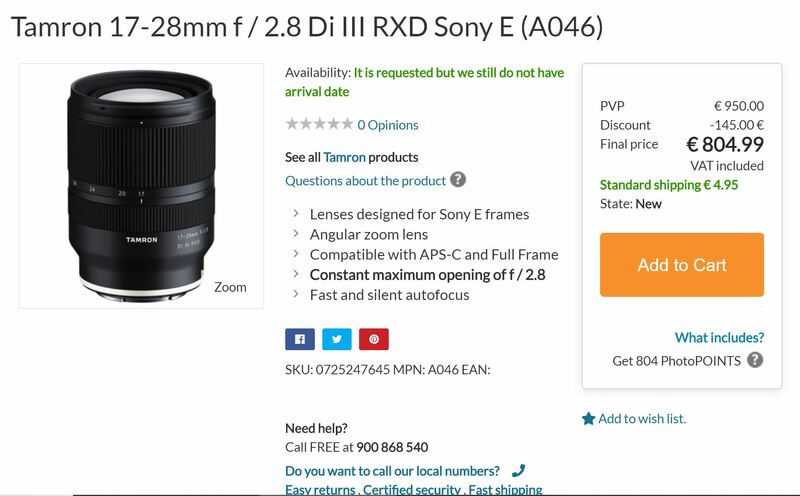 Author adminPosted on March 29, 2019 Categories Sony E-mount Lenses, Tamron FE LensTags Price, Tamron 17-28mm f/2.8 Di III RXD LensLeave a comment on Tamron 17-28mm f/2.8 Di III RXD Lens European Price € 804,99 ! Sony RX0 II now Available for Pre-order at B&H/Adorama/Amazon ! The Sony RX0 II now available for pre-order online, you can pre-order at Amazon/B&H Photo Video/Adorama. Author adminPosted on March 28, 2019 Categories Sony Compact CameraTags Pre-order, Sony RX0 IILeave a comment on Sony RX0 II now Available for Pre-order at B&H/Adorama/Amazon ! 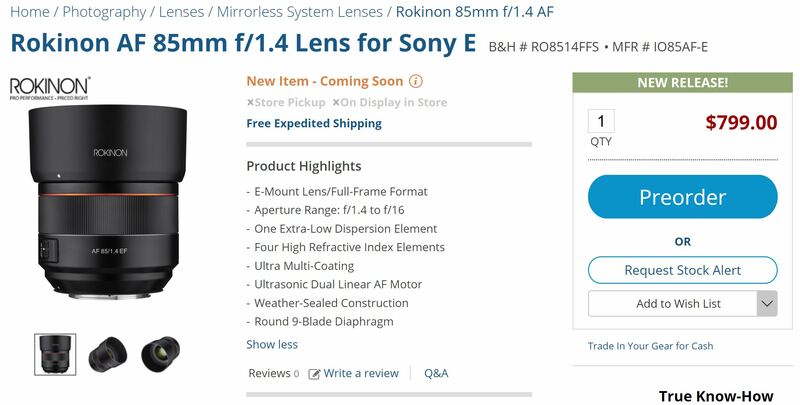 Author adminPosted on March 28, 2019 Categories Rokinon Lenses, Samyang Lenses, Sony E-mount LensesTags Pre-order, Samyang/Rokinon AF 85mm f/1.4 FE LensLeave a comment on Rokinon AF 85mm f/1.4 FE Lens Pre-order at Adorama is $100 Cheaper than at B&H Photo ! Sony RX0 Mark II now Available for Pre-order at Amazon ! 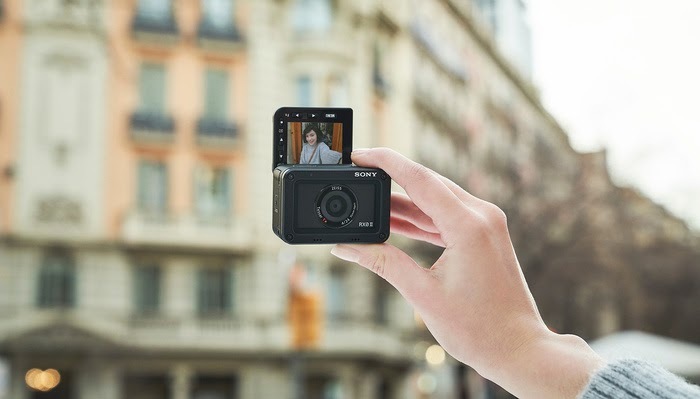 The new announced Sony RX0 Mark II compact camera now already available for pre-order at Amazon US, US Price is $698, according to Amazon, the release date for RX0 II is on April 9th, 2019. Author adminPosted on March 28, 2019 March 28, 2019 Categories Sony Compact CameraTags Pre-order, Sony RX0 IILeave a comment on Sony RX0 Mark II now Available for Pre-order at Amazon ! Here are first roundup previews and reviews of new announced Sony RX0 Mark II compact camera (B&H Photo Video/Adorama). This US price for this camera is $698, will be released in April, 2019. Sony has just released the firmware update version 5.0 for Sony a9. Here are first real world autofocus tests of Sony a9 with firmware version 5.0. Sony a9 is currently $500 off at Amazon/B&H Photo/Adorama. 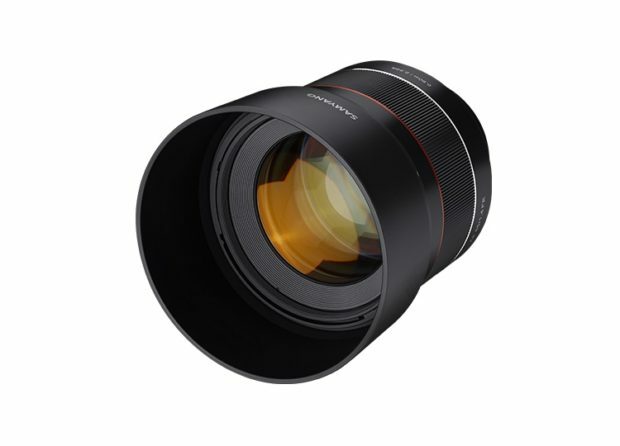 Author adminPosted on March 26, 2019 March 26, 2019 Categories Rokinon Lenses, Samyang Lenses, Sony E-mount LensesTags Pre-order, Price, Samyang/Rokinon AF 85mm f/1.4 FE LensLeave a comment on Rokinon/Samyang AF 85mm f/1.4 FE Lens Price $699, now Available for Pre-order !